Everyone loves summer, but with all of the fun comes extra opportunities for accidents. DealDash would like to remind you of some helpful safety tips. No matter what your skin tone, you should always wear sunblock if you are going to be outside in the sun for an extended period of time. Along with sunblock it’s also a great idea to wear a hat as well. The number one rule of pool safety is never swim alone. Be sure to take breaks and stay hydrated while you are swimming – you might think that you won’t get dehydrated because you are literally floating in water, but you need to keep drinking water, especially if you are swimming for exercise. 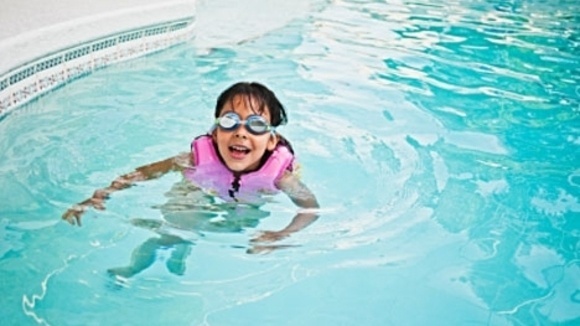 If you are bringing a child to the pool with you to swim be sure that you don’t take your eyes off of them for a second. Please leave your phone in your bag and pay attention to the child, as it really only takes a moment for disaster to happen when you are around water, especially if the child isn’t a strong swimmer. If you are going out in the evening hours that is prime time for mosquitos. Be sure to put on insect repellant so you don’t end up with bites. Mosquitos can carry lots of diseases such as West Nile Virus. Please avoid buying fireworks to use at home. Fireworks are great fun to watch, but can be very dangerous in the hands of your average person. 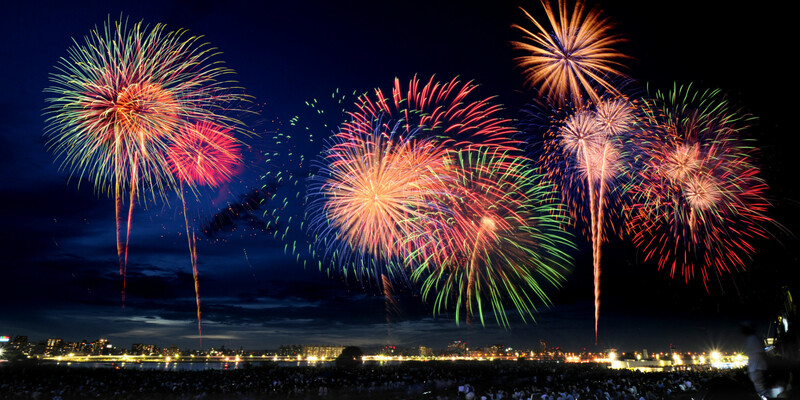 Check out a community fireworks display this summer instead. Or you could always just stay in and play DealDash and see your fireworks when you win! No matter what the activity, be it bike riding, skating, or using a scooter be sure that you and your children always wear a helmet. All is takes is one accident to turn into a catastrophe. I hope that you found these safety tips useful. If you’re looking for some things to help spice up your summer, how about a new bike or bike helmet from DealDash? You can check them out at this link right here. Good luck and happy bidding everyone! This entry was posted in Uncategorized and tagged adults, Deal Dash, DealDash, DealDash Auction, dealdash auctions, dealdash.com, fun, kids, outdoors, safety, summer on May 31, 2016 by . When you think about the phrase “playing games outside” you probably immediately thought of kids. 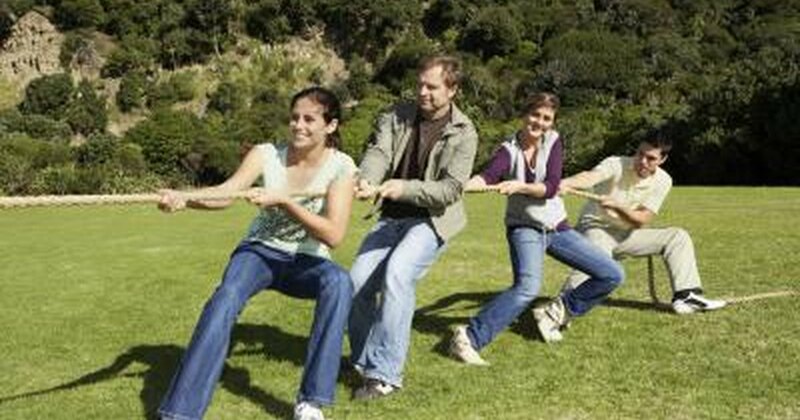 However, there are lots of fun games that you can play outside for kids and adults alike. If you’re going to be having a few cook outs this upcoming summer you are probably going to have both kids and adults in attendance. Here are a few games that are fun that everyone can play together. Hey, you might even be able to beat the kids at one or two of them! Treasure Hunt is really fun and easy to play for kids or adults, you don’t even have to know how to read! Before the party starts the host makes up a simple pictorial list of things that are easy to find outside in the yard during your BBQ, such as a leaf, a can of soda, a plastic fork, a flower, etc. The first person to find and bring back all of the items on the list is the winner. Bocce is a classic outdoors game that your grandparents probably played at parties when they were young. It can be played on grass or on the beach. Bocce balls are fairly heavy, the average is 2 pounds, which might be a little heavy for some of your younger guests, so be sure to pair-off your teams fairly! Little kids who are too young to play will get a kick out of tossing the “pallino,” which is what little ball that is used as the target is called. Play Horse Obstacle Course and let your guests compete to have the fastest time on a backyard obstacle course. Set up a course featuring bales of hay, snake stuffed animals, and even cardboard rodeo clowns as obstacles. Require each player to ride a broomstick horse around the objects and back across the finish line to complete the race. Croquet is a yard game that I fondly remember playing when I was a kid at family parties. 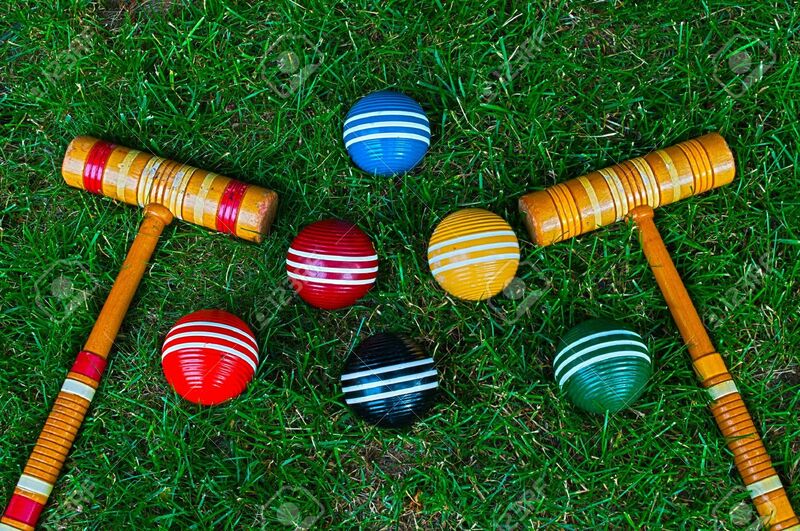 Croquet involves hitting plastic or wooden balls with a mallet through hoops that are called “wickets” that are set up by sticking them into your lawn. I hope that these games sound like fun to you. If you are going to be hosting some cook outs this summer I suggest that you head on over to DealDash and pick up some grilling accessories, or even a new grill! You can check out all of the grilling items on DealDash by clicking this link right here. Good luck and happy bidding everyone! This entry was posted in Uncategorized and tagged adults, bbq, Deal Dash, DealDash, dealdash auctions, dealdash.com, fun, games, grill, grilling, kids, outdoors, summer on May 30, 2016 by . Now that it’s getting warmer outside my family is eating a lot more salad than before. 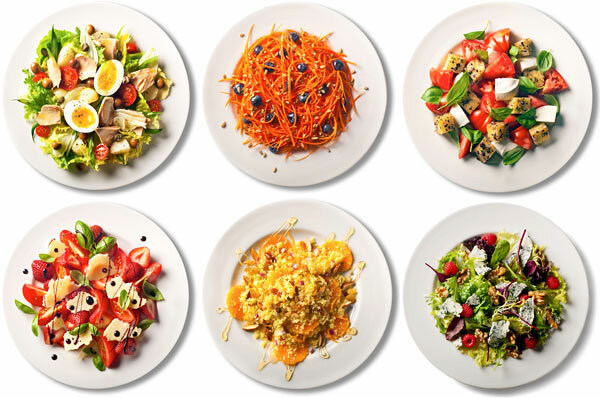 Here are 2 of my favorite salads. In a large bowl, combine romaine lettuce, avocado, tomatoes, bacon, and optional ingredients. Stir in lime vinaigrette. Combine mayonnaise, yogurt, vinegar, salt, and pepper in a bowl; stir thoroughly. Set aside. Place chicken, walnuts, grapes, and green onions in a large bowl; toss together. Add dressing, stir well. There you have it! Two delicious, light, summery salads that you can enjoy out on your deck this summer for a nice lunch or dinner. If you are in need of some kitchen supplies, you need to head on over to DealDash. DealDash has everything that you need to outfit your kitchen with stylish items for a great value. Check out the Kitchen and Dining section at this link right here and see how much you can save. Good luck and happy bidding everyone! This entry was posted in Uncategorized and tagged cook, cooking, Deal Dash, DealDash, DealDash Auction, dealdash auctions, dealdash.com, food, kitchen, kitchen appliances on May 29, 2016 by . Drawing is a wonderful hobby. You can draw just about anywhere with very few supplies needed. Let’s learn about drawing. I’ll admit, I am not a very good artist. However, as with many crafts you can get better at drawing simply with a lot of practice. 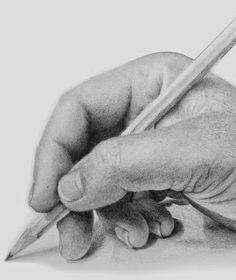 Learning to draw can be a fun experience, and once you have mastered a few basic lessons you will be able to impress your friends with your drawing skills. Specialized drawing pencils – Pencils are the simplest, most essential drawing medium. Drawing pencils are not exactly the same as your regular yellow #2 pencil that you are used to using in school. Drawing pencils have cores made from powdered graphite (not lead) fired with clay, varying in hardness. Select a small range to begin with: an HB, a 3B, and 6B. Erasers – You will need two erasers; a kneadable eraser for pencil, charcoal or pastel, and a white plastic eraser. It can be cut with a knife to make a fresh edge for erasing crisp lines. The kneadable eraser is good for larger surfaces, and the white plastic eraser is good for erasing small sections at a time with precision. Sharpener – Any pencil sharpener will do as long as it’s fairly new and not dulled from sharpening 12 dozen pencils per school year. Drawing/Artist’s pad – You can draw on any type of paper, but it might be helpful for you to get a drawing pad. The paper in the drawing pad has a much smoother surface for drawing than a piece of notebook paper. That’s it! You can buy lots of other things such as different pencils, different types of paper, copic pens, and other items, but these are the basics that you need to get started. To get started, you will want to try to draw a few basic shapes like a cube, a cone, an oval and a circle. Keep practicing these shapes over and over again. The basic foundation of most things that you will want to draw are made up of these shapes. Next, try to practice sketching for at least 15 minutes per day. This is how you build confidence and develop your drawing skills. Don’t worry if your skills seem like they are lacking, this is just for practice to get in the habit of drawing. Finally, find some items around your house that you can practice drawing, such as a vase, a cup, or just about anything. Look at the item that you have chosen, and try to break the item down into the simple shapes that you have been practicing every day. You will be drawing items that people can recognize in no time! If you need a messenger bag to hold all of your art supplies, check DealDash! They have some beautiful messenger bags, as well as backpacks, purses, and other bags that would be perfect to hold your supplies. Check out this link right here, and it will take you to a huge selection to choose from. Good luck and happy bidding everyone! This entry was posted in Uncategorized and tagged art, artist, artists, bag, bags, craft, crafts, Deal Dash, DealDash, DealDash Auction, dealdash.com on May 28, 2016 by . Summer is a great time to go to the zoo. What’s your favorite animal? Kids and adults like both enjoy going to the zoo. If you and your kids live in the city or even the suburbs most likely your family hasn’t seen many animals in the wild other than birds, cats, dogs, and maybe the odd rodent. The zoo is an excellent learning experience as well as a ton of fun. My family and I go to the zoo at least once per year, and sometimes more often if we are taking a day trip in the summer to a location that has a different zoo that we haven’t visited yet. Did you know that the word “zoo” is short for “zoology?” Zoology is the study of animals. There are currently over 1,000 large animal collections open to the public, and about 80% of them are located in major cities. Did you know that the first zoo was started in 1794?! The first zoo was called the Ménagerie du Jardin des Plantes. It was founded in Paris in 1794. The United States didn’t get its first official zoo until 1860, it was in New York and it was called the Central Park Zoo. One of my kid’s favorite thing to do at the zoo we normally go to is go into the Petting Zoo section and play with the baby goats, ducks, and pigs. It’s really a great experience for kids like them who live in the suburbs. It can also be nice for adults who grew up around animals such as myself. If you’re going to spend a day at the zoo you will need some supplies. DealDash can help with that. If you are going with kids age 3 or younger I would strongly suggest bringing a stroller. Even kids who are 2 and 3 and walk just fine on their own can get tired little legs at the end of the day – and trust me, you don’t want to have to carry them. You can find some great strollers on DealDash at this link here. I would also suggest bringing a hat, sun umbrella, and definitely some bottled water. You can get Target, Wal*Mart, K-Mart, and Sears gift cards on DealDash. If you’d like to try to bid on a gift card and save some money on those items just click here. It’s looking like a beautiful weekend coming up. Set your BidBuddies for the auctions you are interested in, and get out there into the sunshine. Good luck and happy bidding everyone! 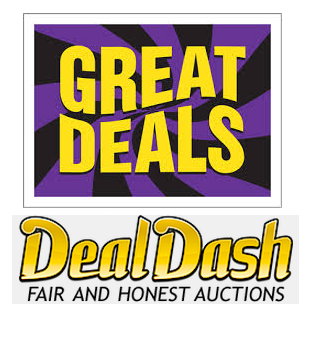 This entry was posted in Uncategorized and tagged Deal Dash, DealDash, DealDash Auction, dealdash auctions, dealdash.com, family, fun, kids, outdoors, outside, zoo on May 27, 2016 by .